To Sylas Tate, there is only one place more important than his wonderful attic room in Gabblety Row, and that is his imagination. But the world changes beyond his wildest imaginings when The Shop of Things opens in the Row. The shopkeeper, Mr Zhi, shows him three of his wonderful “Things”: strange, magical objects that seem to prove that there is something special about young Sylas Tate. 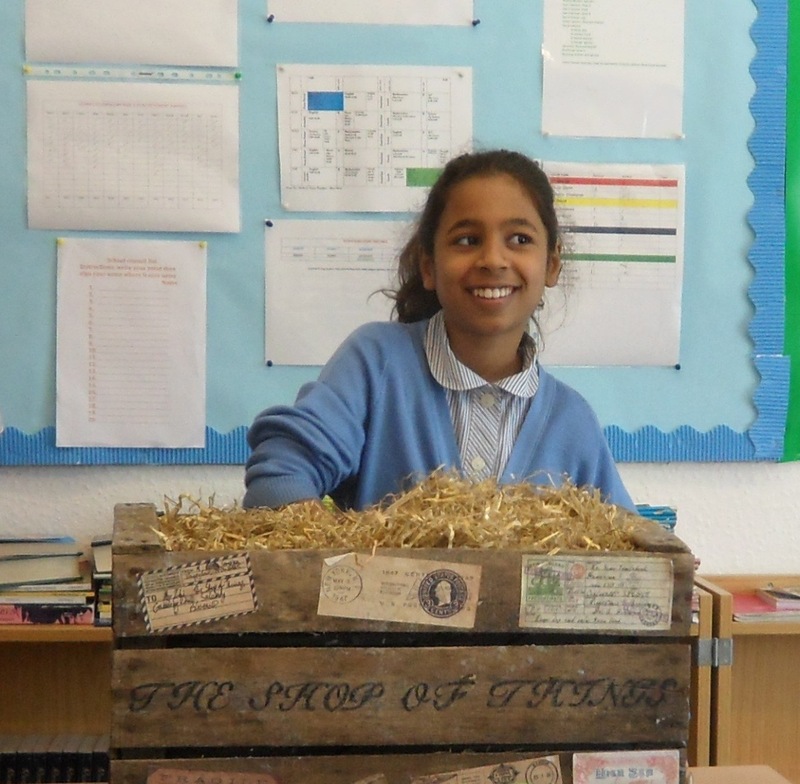 Now your Y5 – Y8 students can visit The Shop of Things and discover their own special talent for bringing magical Things to life. 1.5 hours – 2 hours, can be flexible according to school’s needs. 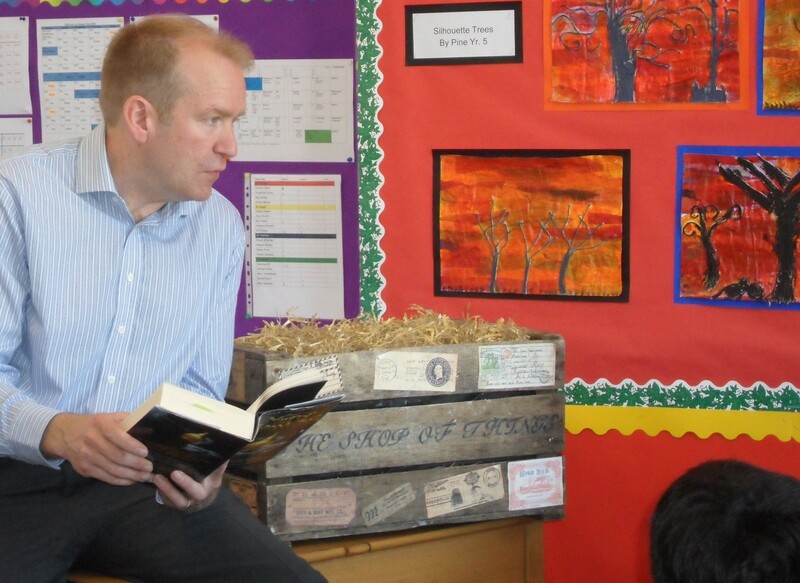 Includes a writing exercise and the opportunity for extension activities if the school would like it. Introduction: Ian introduces himself and the session, outlining what he and the group are going to do. The session will involve some fun descriptive writing inspired by some strange objects Ian has collected over the years. Ian gives a reading from The Bell Between Worlds: the first description of The Shop of Things. Descriptive language: This part of the workshop focusses on what makes good descriptive language and involves the pupils in making suggestions and discussing them. Using the senses, simile and metaphor will be included. Ian talks about some great descriptive writing that he has found inspirational. He explains that writing can be hard and how he learned to improve, overcame obstacles etc. Ian introduces a mysterious ‘box of Things’ and tells the group that it contains strange objects he has collected from all around the world. He has no idea what they are meant to be used for. The children get into small groups and select an item per group. They reach into the box of Things without seeing what they will get. Ian tells the children that they should now answer some questions about the Thing they have chosen, which he writes on the board: e.g. what it is called; who made it and when; what special power it might have; who it belonged to etc. Children can make up funny explanations, magical ones, mundane ones, whatever they like, but they must be as descriptive as possible. 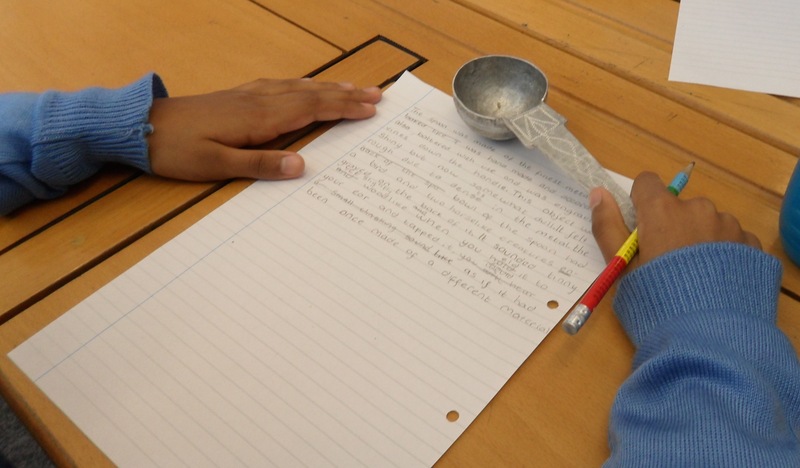 The children now write a short piece about their Thing, based on these questions and what they have learned about description (they can produce something as a small group or individually after talking about it – Ian will discuss this with the teacher). Ian walks around and helps them. All groups introduce their item and read out their piece or a selected piece. If there is time, Ian will read a description of the most magical Thing in The Bell Between Worlds: the bell itself. Make a Shop of Things in a classroom! Fill a room with boxes, dust, fake cobwebs etc. Hang a sign outside. Children have to enter and find strange objects, then document them – describing and drawing – for a shop catalogue. They can look at museum catalogues beforehand, watch Indiana Jones/The Librarians for a fun take on mystical artefacts. Odd music may be playing, the lights should be dimmed, and a strange “Assistant” voice recording could play in a cupboard. Teacher can act (and even be in costume!) as a mysterious Mr Zhi. Make a class book of the descriptive pieces and style as a museum/auction catalogue using ICT, or make the catalogue online on a blog or free website. Review magical Things in The Bell Between Worlds and other fantasy books, eg The One Ring, The book in The Neverending Story, Susan’s arrows in Narnia, magical amulets, swords etc – could be in computer games etc too. Make a top ten with a page profile for each detailing their powers, the childrens’ view on how effective they are, a quote from the text where they are described etc. The final object could be a class book, online project or a film of children talking about which magical object they nominate as the best. Children write debate speeches after the above review proposing what they believe to be the best magical Thing in fiction. Children write stories involving two characters, each with their own magical object. They must decide the relationship of the characters and whether the magical Things work with each other, clash with each other or interact in some interesting way. They then record their stories for a school podcast.